In this article I presume you are going to be doing all this from a Shell. This can either through the shell that you machine boots into, or which you access through SSH, but this can of course also be a Shell or Terminal window that you open in your graphical user interface (Window Manager). Keep in mind though: there a loads of variations of Linux distributions and installations. Some of the commands here might or might not work on your system. Therefor I’ll try to mention a few alternatives for each command. Note: not all command might exist on your Linux system. 32- or 64-bit Operating System ? uname -a 64 bit OS if there is no reference to “i386”, “i486”, “i586” or “i686”. getconf LONG_BIT 64 bit OS if it replies with “64”. file /bin/bash 64 bit OS if it has “ELF 64-bit LSB executable” in it’s response. cat /proc/version 64 bit OS if there is a reference to “x86_64”, “amd64”, “ai64”, “ppc64” or “sparc64′. What kind of Processor ? lscpu Short, but limited info on CPU model. cat /proc/cpuinfo Little bit lengthy but more detail. What kind of Memory is installed ? free Short and quick overview of installed memory and memory use. cat /proc/meminfo More extensive overview of installed and used memory. What kind of Harddisks are installed ? fdisk -l Shows a list of harddisks (physical and virtual). cat /proc/scsi/scsi Shows a list of attached ATA and SCSI devices. cat /proc/partitions Show the partitions on all disks. In the directory /sys/block/xyz you can find tons of details of a given device (xyz), for example for the drive sda cat /sys/block/sda/device/model will print the drive model. df Shows available and used disk space on mounted disks. lspci Shows all PCI devices. lsusb Show all USB devices. 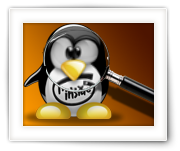 An optional tool that can be installed on your Linux box is hwinfo . However, on most systems this is not installed. An alternative is lshw (run as sudo) which gives very good information as well. Not every system has “apt-get” and not every system has the needed repositories. Under Ubuntu variants I have found “lshw” and “inxi” to be present in the default repositories. “hwinfo” on the other hand, even though it’s a great tool, was nowhere to be found. Certain systems support the “dmidecode” statement which pulls DMI data from the BIOS. It is recommended to go through the man pages for more details and filters. Is my Linux Operating System 64 bit or 32 bit ? This is not the same question as “is my processor 64 bit or 32 bit”. Most 32 bit operating systems work just fine on a 64 bit processor. So a 64 bit processor is not a guarantee that your Operating System is 64 bit as well! You noticed the “could” and “might“? Well that’s because not every Linux/BSD/Unix/etc system returns a value in a consistent manner. It get’s even worse … anyone read the man page of uname or the BSD man page? Interesting to see that the man page refers to the “-m” option as the “print the machine hardware name” option. So … Hardware? Not software? Are we dealing with an ambiguous man page or are we simply looking at the wrong information? If there is no reference to “i386“, “i486“, “i586” or “i686“, then I carefully assume we are running a 64 bit Operating System. Some examples of the output of different machines when using “uname -a” – in this list below from a QNAP TS869, a MacBook Pro, a CentOS 6 web-server, a FreyaOS 32 bit machine and a FreyaOS 64 bit machine (FreyaOS or Elementary OS is derived in someway from Ubuntu). Only the 4th row in these examples is 32 bit. The answer will be 32 (for 32bit OS) or 64 (for a 64bit Operating System). I’m not sure how reliable this is though. An alternative, which is not 100% fool proof either, we could check if an executable/binary on the system is actually 32- or 64 bit. If you find any application on you system, that actually works, and shows that it’s 64 bit: then your Operating System is 64 bit! Otherwise … well you could have either 32 or 64 bit, who knows. This assumes your system knows the “file” command and has bash available and compiled matching the architecture of your Operating System. These days a lot of platforms actually support multiple architectures. For example quite a lot of 64 bit Linux Operating Systems can run 32 bit binaries. Not all systems have this, but you could give it a try. If there is a reference to “x86_64” then you’re dealing with a 64 bit Operating System. It might be that on your system other 64 bit indicators show up like amd64, ppc64, sparc64, or ia64. What type of Processor is installed in my computer ? So what kind of “engine” do we have running in our Linux computer … always nice to know right? The easiest statement seems to be “lscpu“, but not every system has this command available (QNAP for example). The example below shows us a 64 bit, Genuine Intel Quad core processor running (at the moment) at 3.6Ghz. Because the Intel CPU supports Hyper-threading, this will be seen as 8 “CPU’s”. Now if you really want to know the exact type and model of your CPU, then Family, Model and Stepping will get you a long way, but … not close enough … Not to mention the ginormous lists of these numbers and codes which really just point roughly into a certain direction. This is probably the classic and most used method to find out what kind of processor your computer uses. It can spit out quite a lot of info, and it’s more specific than “lscpu”. An example below, of the same machine on which I showed the use of “lscpu”. Please keep in mind that only 2 “processors” have been listed below (processor 0 and 7). The other 6 “processors” I just removed from the output to keep things a little readable. You will see in the example below that we are dealing with an Intel Xeon E3-1271 running at 3.60GHz, which happens to be a quad core (“cpu cores : 4”). The 8 processors is based on 4 cores combined with Intel’s Hyper-Threading (x2). What kind and how much Memory is installed ? In this example we see 16 Gb RAM installed (Mem-total). On some systems you can have express the sizes in Bytes (-b), KiloBytes (-k), MegaBytes (-m) or GigaBytes (-g). The rounding might result in a number “near” what you’d like to see – depending on your expectations. As you can see below: the 16Gb RAM (divided by 1,000) is now displayed as 15GB (divided by 1,024). But if your really want to see the fine details, use the following. “MemTotal” reflects how much RAM is installed. What kind and size of Harddisks are installed ? The easiest way to see what kind of harddisks (SSD’s included) are installed is by using the “fdisk -l ” statement. You can see the defined partition over all disks with “cat /proc/partitions“. In the directory “/sys/block/” you will find for each device a ton of information. For each device a directory exists with a several sub directories and files with information related to the device. Note that not all systems, have data in all files that make sense. I did find that for example “vendor” is not always filled with anything useful. “model” however appears pretty consistent. DF, or how much space is used? To find out what kind of PCI devices have been installed, we can use “lspci”. Not every system has this available though, for example on a QNAP it is not available. In the example below we can see the “Ethernet Controller” (2) and the “VGA Compatible Controller”. As with PCI devices, there is the possibility to pull a list of USB devices as well with “lsusb”. Unlike “lspci” it does exist on all systems I tested (QNAP, FreyeOS/Ubuntu, CentOS 6). Bus 002 Device 002: ID 1058:0830 Western Digital Technologies, Inc. Bus 010 Device 002: ID 1058:0748 Western Digital Technologies, Inc. Bus 010 Device 003: ID 1058:0748 Western Digital Technologies, Inc. In this example you see the usual USB hubs (USB 1.1, 2.0 and 3.0), and a few harddrives (Western Digital) connected to your computer. Even though Linux can be awesome, at times it can be headache too … some, or all of these methods might work and might give you the information you need. I’m sure there are plenty other tricks that I have not mentioned, so please feel free to post your tricks below! Great info nicely put together. It will give you a lot of BIOS based info, like BIOS version, Board info, CPU, video card, etc. I totally forgot about that one.